BOOK TOUR! 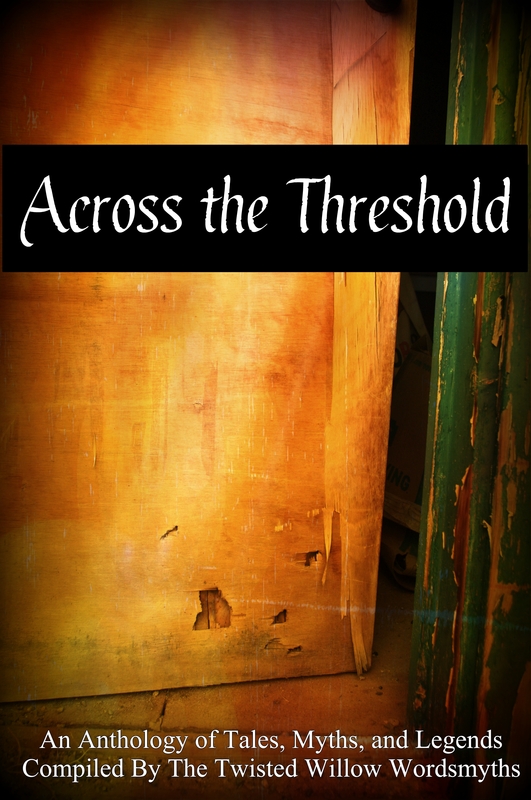 Across the Threshold! So today was the official release of the anthology I have been so blessed to be a part of. 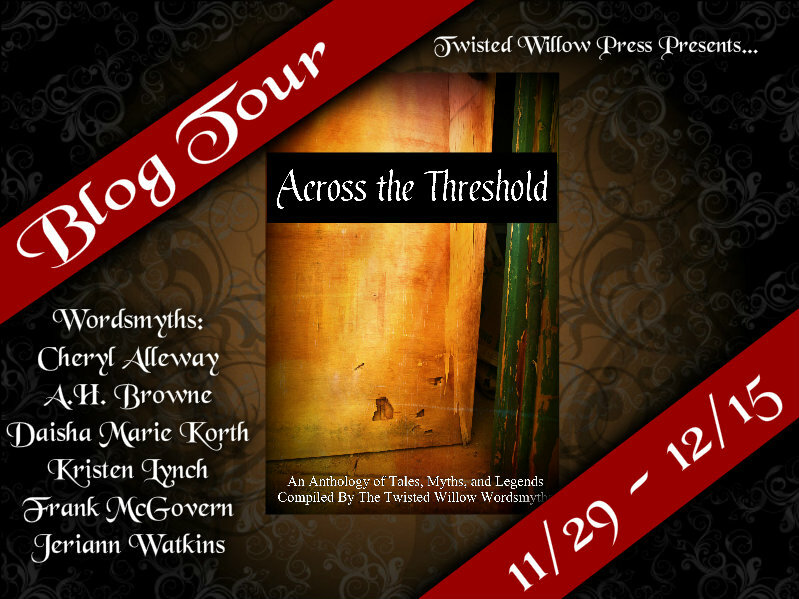 The tour kicked off with a post at Twisted Willow Press. Then, we had loads of fun at a release party on Facebook. If you weren’t there, you can peek in and see what fun we had! This book was a long time in the making. We started it with a group of people that all worked together. I can still remember the exhilaration I felt when our “Imp” asked if I would join the group. We had a deadline of January 2013 so I feverishly abandoned my NaNo last year and wrote “On Wings of Silver”. It was an easy story for me to write since it plays as a prequel to my YA series that I will one day get to finish. I love Nahdea, my stubborn little faerie who falls in love with a human…instead of it being the other way around. As time went on and we hit one deadline after another, we all sort of lost touch. Finally I grew impatient. I had worked so hard on that story that I was not about to do nothing with it. So, I contacted some of the original authors of the group and some that were new. Together, we put together a collection of stories we are most proud of. We do miss our Imp very much. When you download a copy of this book, you support the dreams of six authors who call themselves the Twisted Willow Wordsmyths and encourage future anthologies of different genres. This book gives you a variety of short stories to enjoy. Some are really short and some are longer, but they are all full of action, adventure, wishes and spells. Pick up your copy in paperback or in Kindle versions! You know, Amazon has free Kindle apps so you can read books on virtually ANY device now. They also allow you to purchase a book as a gift and schedule its deliver by email. Perhaps you know someone who is getting a Kindle for Christmas?? “Take my hand and come across the threshold where nothing is as it should be, yet everything is an adventure! This collection of stories comes from a group of authors who have aptly named themselves “The Twisted Willow Wordsmyths”. Their imagination will take you to places you never knew existed. From the power of a human tree to the fanciful Three Little Pigs, the trials of a stubborn little faerie to the rhythm of ancient drums, the curse of an old ship to the possibility of stars making wishes. There are no dull pages, no putting the book down, but hours of wonderful moments with the characters that come alive in these pages.